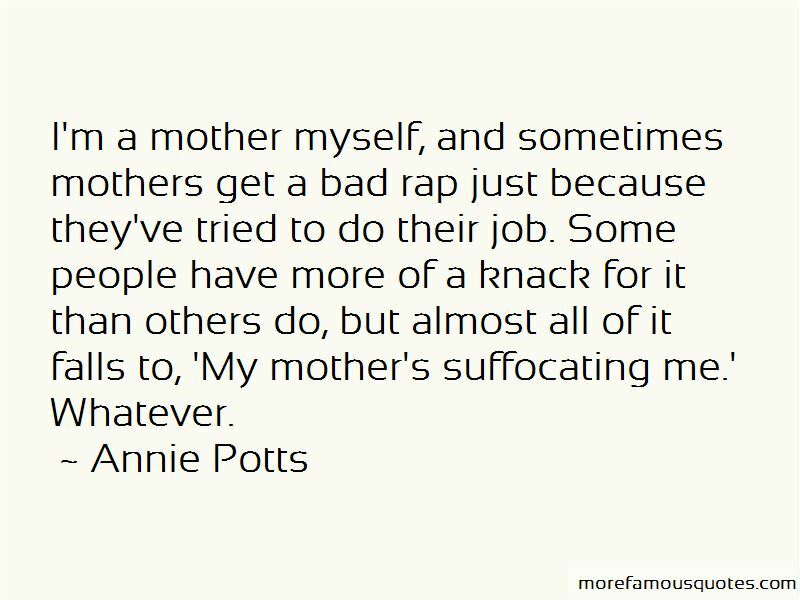 Enjoy the top 13 famous quotes, sayings and quotations by Annie Potts. I'm a mother myself, and sometimes mothers get a bad rap just because they've tried to do their job. Some people have more of a knack for it than others do, but almost all of it falls to, 'My mother's suffocating me.' Whatever. I have taught some master classes and things at my alma mater and sometimes at my kids' school. I will go in and talk to the theater students. I wouldn't really call myself a teacher. It's an interesting and demanding art to do voices. 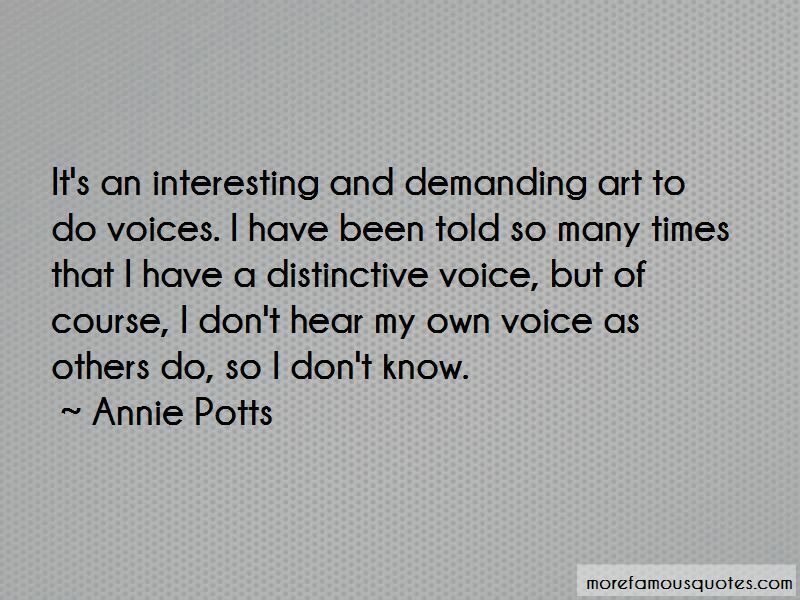 I have been told so many times that I have a distinctive voice, but of course, I don't hear my own voice as others do, so I don't know. 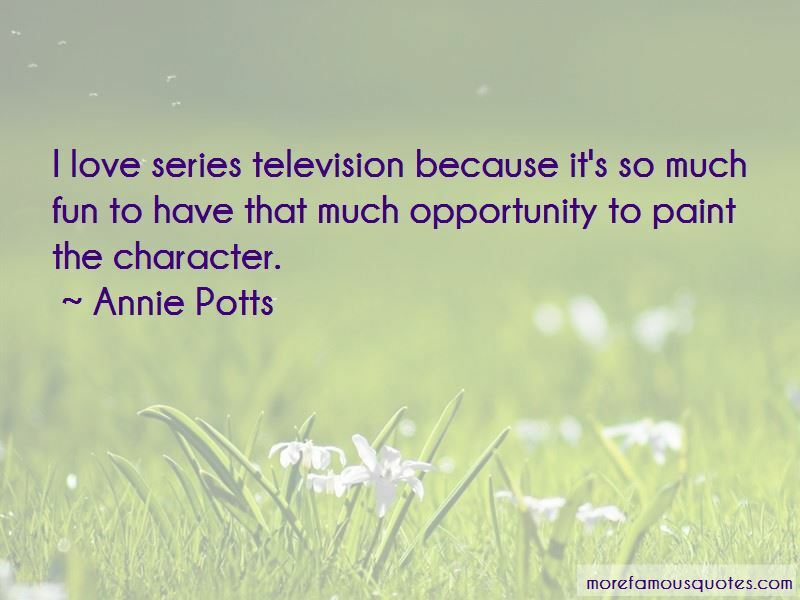 Want to see more pictures of Annie Potts quotes? 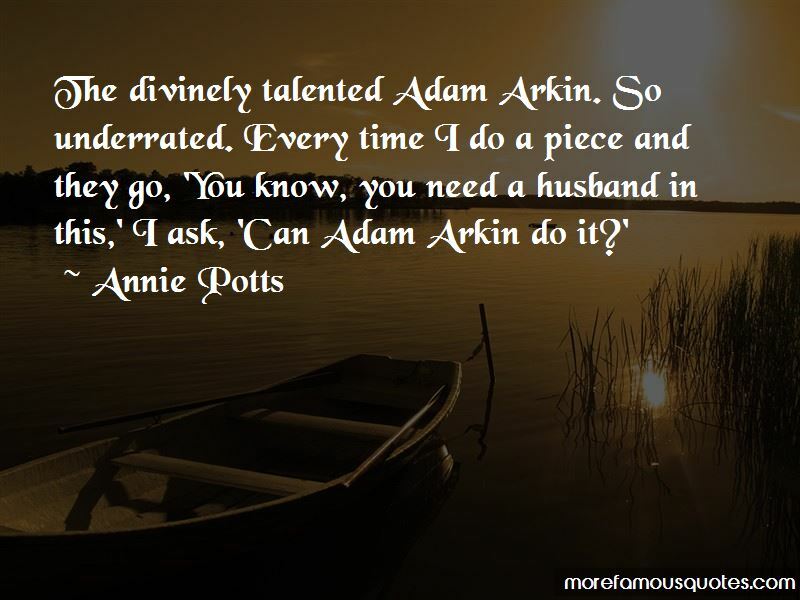 Click on image of Annie Potts quotes to view full size.